The horror movie focused streaming service Shudder has a free trial offer so you can check them out for free. Before your free trial of Shudder, however, you should have a list of horror movies to add to your Shudder queue so you can begin your horror movie binge session right. Below you will find the top horror movies on Shudder along with the movie details and trailer for each horror film. 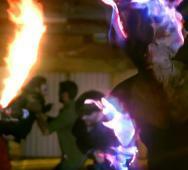 Movies include demon movies, serial killer films, zombie movies, and other paranormal horror films. AMC’s The Walking Dead was a major player when it first aired way back in 2010, but the faults with the recent few seasons ratings have seen major declines. Here is a list of those faults and a little input on said faults. Many of these issues are the very same issues I also agree with, but now I have a better understanding of why they are there and when they started. Watch the video below, and if you cannot, I included a brief list below the video with the bullet points and some dialogue for each The Walking Dead issue. AMC’s The Walking Dead did wonders for the horror genre but here are some of the Best Top 10 The Walking Dead Fails from the previous seasons. I bet you can imagine the worst Walking Dead fail of them all involves Negan. Check out the video below created by WatchMojo and the list is written below the video so you can skip to it if you prefer. This list of the 5 Strangest Horror Movies from around the world includes some of the weirdest things you will ever see in a horror film or of any genre. The films include House (1977) from Japan, Hard Rock Zombies (1985) from the USA, Matango (1963) from Japan, Long Weekend (1978) from Australia, and Mystics in Bali (1981) from Indonesia. Looking for bizarre horror movies, check out the movie details and trailers below. 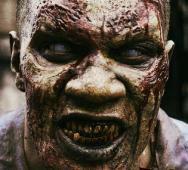 10 Ways to Survive the COMING Zombie Apocalypse!? Many folks have fantasies of various lengths at one point in their lives about the zombie apocalypse. Here are a few primary survival tips for the zombie apocalypse. I know some folks are planning bunkers filled with rations for 10-20 years and all that but for the average person like me, we have to do with what little we have. I recently saw Walmart carrying a 30-day supply of emergency food rations in a bucket looking thing. The key to surviving the zombie apocalypse is preparation and ready at all times. What a thrill ride Season 8 of AMC’s The Walking Dead has been. Time to share the top 3 moments from the mid-season 8 finale episode. We gave you enough time and thought this is the right time to share this video with you. 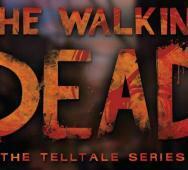 The rest of this video and article contains The Walking Dead spoilers, again, spoiler alert. 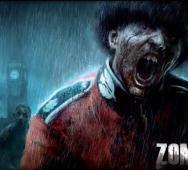 Call of Duty Zombie Maps are some of the most fun gameplay to get the adrenaline pumping. 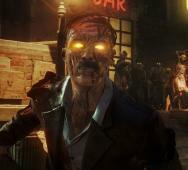 Here is the Top 10 Best Call of Duty Zombie Maps. So many memories here and great fun. Some of you might look to play some of these maps just one more time after watching this video below. Thanks to WatchMojo for creating and posting this top list video, please like and share. Here are the top 10 horror comedies you should watch if you already haven’t. This top list includes many horror comedy films that most horror fans should rewatch at their earliest. Thanks to WatchMojo for posting this video, please like and share. 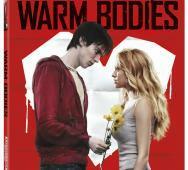 Warm Bodies 4K Ultra HD Blu-ray was a great PG-13 watch that had all the special features from the original Blu-ray that was released in 2013. The 4K Ultra HD Blu-ray will be available for purchase on October 3, 2017, but you can pre-order yours today for about $16. Finding zombie movies on Netflix Instant Streaming is fun, especially when you already know what the Top 10 best zombie movies on Netflix are and we already have a list already set to start you off. This Netflix movie list ranked by what is currently streaming on Netflix right now. Hope you enjoy our list, last updated September 26, 2017, for October 2017. We hope to update this list monthly so make sure to bookmark this list. 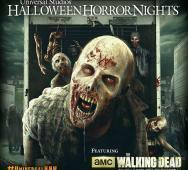 The living dead is a classic horror genre to sit back and have a few laughs or scares. Netflix Announces SANTA CLARITA DIET Season 2 for 2018! Netflix recently announced that Santa Clarita Diet Season 2 is premiering in 2018. I binge watched the first season of the living dead horror comedy and felt that the ending was the high point of the show and when things were getting really good. Watch the video below for the fun announcement video for Netflix’s Santa Clarita Diet Season 2 starring Drew Barrymore, Timothy Olyphant, and Liv Hewson. Hammer Films has been a staple of horror films since long before my time. Not a definitive list of all Hammer Films but at least a good starting list of the best films from Hammer. My very first Hammer horror film was Horror of Dracula (1958) or Dracula (1958) with actors Christopher Lee and Peter Crushing. 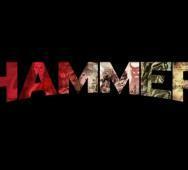 Enjoy our list of our top Hammer Films. AMC released the first photos and official synopsis for Fear the Walking Dead Season 3. There is a lot of emotion to be felt in these images. We will update you once the premiere date is announced for AMC’s Fear the Walking Dead Season 3. Bo Mikkelsen‘s What We Become (2015) releases on Blu-ray / DVD this October 18, 2016, via Scream Factory and IFC Midnight. Full details on the Blu-ray and DVD release in the press release below. 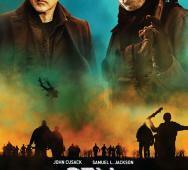 Usually, we list the bonus feature too, but they were not included. Mille Dinesen, Troels Lyby, and Marie Hammer Boda star in What We Become. Here is some impressive DC Comics artwork featuring zombie Batman and zombie Catwoman. 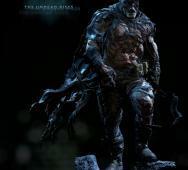 Ali Jalali is a character and CG sculpture artist who calls this zombie Batman piece The Undead Rising. This Batman piece was created for the Comic-Con 2016 contest where artists were tasked with creating zombie versions of superheroes. Artist Anna Lakisova created the zombie Catwoman that is a little scarier in tone. Both pieces feature an impressive variation in style. 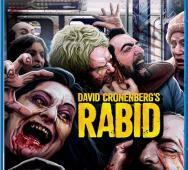 Scream Factory revealed their release of David Cronenberg‘s Rabid (1977) film on Blu-ray for November 22, 2016. This version is a special Collector’s Edition of Rabid. Details on what bonus features are going to be revealed in September-October but right now we know we will get a new slip cover and artwork via CRP Group. You can pre-order this Blu-ray here. Syfy‘s Z Nation Season 3 premieres Friday, September 16, 2016, at 8:00 pm EST. 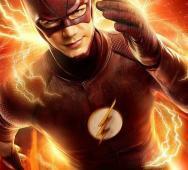 The premiere is a two-hour episode setting up this season’s villain and story. The rest of the season will continue with one-hour episodes starting on Friday, September 23, 2016, at 9:00 pm EST. Rob Zombie has been directing movies for a while now, and although some of the films are either a hit or miss with horror fans, we put together our favorite Rob Zombie movies. 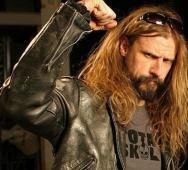 Rob Zombie delivers films that are filled with gore and a surreal horror element. We hope you enjoy our list and share your comments. In bold print, AMC’s Fear the Walking Dead Season 2‘s second half key art features the words “Death Knows No Borders.” Also, we have two new photos with wide open land spaces, one even has a horde of zombies. Fear the Walking Dead San Diego Comic-Con 2016 details are also in the press release below but the panel with the cast and executive producers will start Friday, July 22 at 12:00 p.m. PT in Hall H. Fear the Walking Dead returns this upcoming Sunday, August 21, 2016, at 9:00 pm ET/PT. San Diego Comic-Con 2016 will be a busy event with Warner Bros. set to give a full panel and event schedule featuring their 21 TV shows. Some of the top in the lineup include Arrow, The Flash, Gotham, Legends of Tomorrow, and Supergirl with horror fans picks Supernatural, The Originals, The Vampire Diaries, iZombie, and Lucifer. Arrow‘s Stephen Amell; The Flash‘s Grant Gustin; Blindspot‘s Sullivan Stapleton and Jaimie Alexander; DC’s Legends of Tomorrow‘s Brandon Routh, Victor Garber, Caity Lotz; The Vampire Diaries’ Ian Somerhalder; Supernatural‘s Jared Padalecki, Jensen Ackles, Misha Collins, Mark A. Sheppard; The Originals’ Joseph Morgan; Gotham‘s Ben McKenzie; Supergirl‘s Melissa Benoist; iZOMBIE‘s Rose McIver; The 100‘s Eliza Taylor; and Lucifer‘s Tom Ellis will also join producers for screenings, panel sessions, free autograph signings, and media appearances. 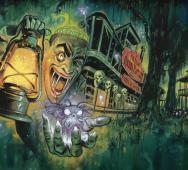 West London’s Horror Channel FrightFest 2016 will launch their event late this Summer 2016. Horror films included in the FrightFest 2016 lineup include Rob Zombie’s 31, Sean Byrne’s The Devil’s Candy, Darren Lynn Bousman’s Abattoir, Jackson Stewart’s Beyond the Gates, and Adam Wingard’s The Woods. Full press release details below. Until AMC’s Fear the Walking Dead Season 2 returns with its midseason premiere on August 21, 2016, here are some of the radio transmissions from the show. Below we have several radio transmissions to give you a little something for you diehard fans. One of these radio transmissions mentions Jack (Daniel Zovatto). This new Deadlight: Director’s Cut trailer shows a “Survival Arena” with zombies swarming the player. 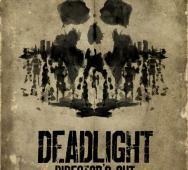 This new version of Deadlight is an enhanced and remastered version of the popular zombie game. Deep Silver and Tequila Works releases the new version of Deadlight this June 2016 for the PlayStation 4 (PS4), Xbox One, and PC. The new Day of the Dead film has been finally confirmed to be a “remake/reboot” with Hector Hernandez Vicens to both write and direct the new zombie film. Several other writers will also be working on the script. Johnathon Schaech will star in the movie as Max, a half-human-half-zombie character. Millennium Films and Campbell Grobman Films will handle the remake with producers Avi Lerner, Boaz Davidson, and James Dudelson. 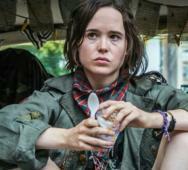 Ellen Page has taken the lead role in the new zombie thriller called The Third Wave. 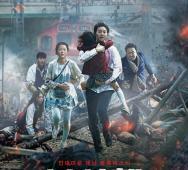 This film will have a zombie twist in which humans are turned into zombies and then cured. 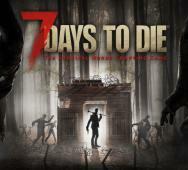 The story “is set in a time after a virus that transformed humans into zombie-like monsters has been cured. But many of the once-infected humans are now shunned by society and even their families, creating social unrest that leads to militant government interference.” David Freyne will direct The Third Wave, which he also wrote, this will mark his directorial debut. Sam Keeley will also star in the new zombie film that will start shooting in Ireland later this 2016. Enjoy a slew of more new photos from AMC’s Fear the Walking Dead Season 2 mid-season finale episode titled “Shiva.” AMC’s Fear the Walking Dead Season 2 has been moving rather well this season with better improvements over the previous season. Watch this episode this upcoming Sunday, May 22, 2016, at 9:00 EST. We are already up to the mid-season finale of AMC’s Fear the Walking Dead Season 2 Episode 7 titled “Shiva”. We get to see some action as the shattering even from the previous episode kicks off this episode, trying hard not to spoil anything here. The “sneak peek” video ends with a very insane twist ending. I did not see that coming at all. The “Next On” video feels like an entirely different turn of events; this will be an eventful episode. This Fear the Walking Episode airs on Sunday, May 22, 2016, at 9:00 pm EST. Here are some new photos and preview videos for AMC’s Fear the Walking Dead Season 2 Episode 6 titled “Sicut Cervus.” This new episode will air Sunday, May 15, 2016, at 9:00 pm EST. I am enjoying the new action pace in this season so far and would like to read your comments below. Robert Kirkman Promises THE WALKING DEAD Season 7 Will Be AWESOME! AMC’s The Walking Dead Season 6 finale left an unbelievable sour taste in many fans’ mouths as they now have to wait until The Walking Dead Season 7 premiere episode to find out who died by Negan’s bat “Lucy”. Robert Kirkman officially addressed The Walking Dead fans in the new issue of The Walking Dead comic book “Letter Hacks” section. He apologises for the cliffhanger and continues to say that the premiere episode will be AWESOME! Here are some new photos for AMC’s Fear The Walking Dead Season 2 Episode 5 titled “Captive.” Also included is the preview videos for this episode that will air on Sunday, May 8, 2016, at 9:00 pm EST. Ruben Fleischer‘s Zombieland 2 could start production this Summer 2016. If this news is accurate, Zombieland 2 production will begin August 2016 in Atlanta. There is no announcement that the original Zombieland cast of Jesse Eisenberg, Woody Harrelson, Emma Stone, and Abigail Breslin returning to the Zombieland sequel. Zombieland fans must be ecstatic right now, tell us below. Here are some new photos and preview videos from AMC’s Fear the Walking Dead Season 2 Episode 4 titled “Blood in the Streets.” This new episode will air on Sunday, May 1, 2016, at 9:00 pm EST. This episode sounds awesome as Strand’s past is finally revealed, who is Strand? AMC has officially confirmed that Fear the Walking Dead Season 3 will continue with a full 16-episode ordered scheduled to premiere in 2017. We all knew that AMC was going to renew Fear the Walking Dead for a third season, but the confirmation is nice and knowing to expect 16 new episodes is that little bonus for fans. Full press release plus many other details are included below. Here are some new photos and preview videos for AMC’s Fear the Walking Dead Season 2 Episode 3 titled “Ouroboros”. 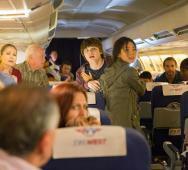 This episode also reveals the fate of Flight 462 from the Fear the Walking Dead Season 1 webisodes. How well are you enjoying Season 2 of Fear the Walking Dead so far? Watch this hilarious video as two brothers take a prank too far when their little sister is under the influence after taking surgery. These brothers convince their little sister that the zombie apocalypse is coming. She is provoked with life-altering questions like who do we save, the cat or the dog. Her answer was funny, but she was shockingly serious. Thanks to Cabot Phillips for creating this video for our twisted amusement. AMC’s Fear the Walking Dead Season 2 takes place on the Abigail, so-called “safety on the seas.” Here are some photos and the preview video for next week’s episode titled “We All Fall Down.” Did you see the Fear the Walking Dead season 2 premiere yet, what did you think? 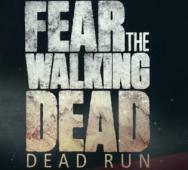 AMC and Versus Evil are bringing us Fear the Walking Dead: Dead Run with the mobile game launch trailer below. 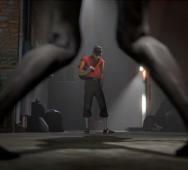 You will be able to play as characters in the zombie-infested Los Angeles setting. Curious, how many of you will play this mobile game, tell us below either way. Dan O’Bannon‘s The Return of the Living Dead (1985) is getting the much deserved The Return of the Living Dead Collector’s Edition Blu-ray treatment via Scream Factory. The special two-disc release drops this July 2016, with more than twelve hours of bonus content and a brand new 2K scan of the film. 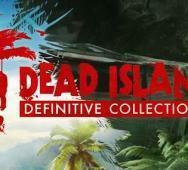 There is just so many good bonus features to list here, so read the full details below. 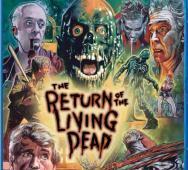 Clu Gulager, James Karen, and Don Calfa star in The Return of the Living Dead. 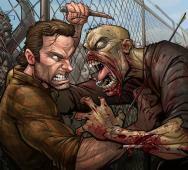 Some art just jumps at you and that is exactly what artist Patrick Brown has accomplished in this art featuring Rick Grimes from The Walking Dead fighting back a rampaging rabid zombie attacking him. The level of detail is astounding I can easily see this hanging on my wall. 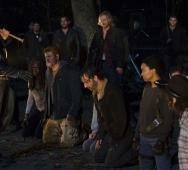 If you look real close, you can see Michonne in the background decapitating her own zombie attacker too. 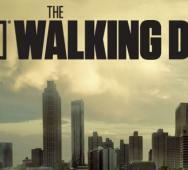 Ever wondered how many people are still alive in AMC’s The Walking Dead? 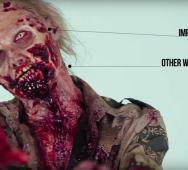 SourceFedNerd does the math to reveal what he thinks the rough number of human survivors to zombies is worldwide in the TV show. Many of you may agree with his number or find it a little too low, either way, this is his opinion so be generous in the comments either way. 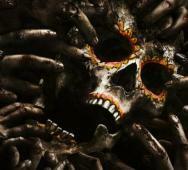 AMC’s Fear the Walking Dead Flight 462 web series is now available in its entirety for you to watch completely. This has to be one of the worst zombie situations you can get yourself into, zombies on a plane. The full version of Fear the Walking Dead Flight 462, including all 16 parts is a little under 15 minutes long. This video provides insight to what happens with the famous plane scene during AMC’s Fear the Walking Dead Season 1. Burr Steers’ Pride and Prejudice and Zombies (2016) comes to Blu-ray / DVD this upcoming May 10, 2016. This Blu-ray release is loaded with a ton of bonus features including a 4K Ultra HD edition of the feature film, featurettes, deleted scenes, and a lot more. Full details on the entire bonus features lineup are included below. Lily James (Cinderella), Sam Riley (Maleficent), Jack Huston (The Longest Ride), Bella Heathcote (Dark Shadows), Douglas Booth (Jupiter Ascending), Matt Smith (“Dr. Who”), Charles Dance (“Game of Thrones”), and Lena Headey (“Game of Thrones”) star in Pride and Prejudice and Zombies. Thomas J. Churchill‘s Marilyn: Zombie Hunter (2017) casts Krista Grotte, who is a horror vixen. 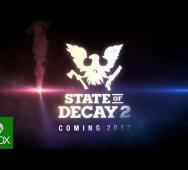 That should add some eye candy to the upcoming zombie film. So far, this is the only confirmed cast member of Marilyn: Zombie Hunter. Check out the video below with Dawna Lee Heising for Eye On Entertainment featuring an interview with Krista Grotte. Norman Reedus (AMC’s The Walking Dead) was promoting his new film Triple 9 (2016) on Jimmy Kimmel Live and gave us a funny zombie sketch. 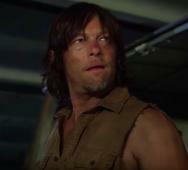 Reedus created a video in full Daryl Dixon character that is titled “Norman Reedus vs. Hoverboard Zombies.” This video is hilarious and is done right like every The Walking Dead parody should be done. 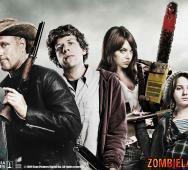 ZOMBIELAND 2 Still in Development!? Sony Pictures is still developing Zombieland 2!? That is what was revealed by writers Rhett Reese and Paul Wernick (Deadpool (2016), Zombieland (2009)) on The Q&A Podcast. What do you think, do you still want a Zombieland 2 after nearly seven years? 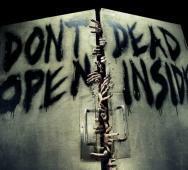 Studio C has just released a funny comedy sketch on “How To Survive” The Walking Dead. 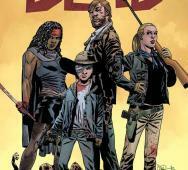 Rick Grimes brings on a new guy named Terry to teach the group new methods to survive. 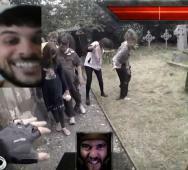 We even get to see this new zombie survival in action. Check it out and tell us what you think. 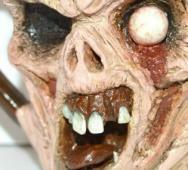 Jean Cotton at Making Faces Pottery has created three new zombie mugs that are extremely detailed. Each is hand sculpted by Jean with lead-free glazes and are dishwasher safe. 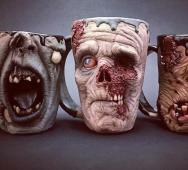 Each zombie mug will cost $95.00 apiece so they will most likely not be your everyday coffee mug. 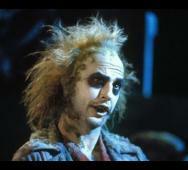 “Horrible Harry”, “Un-Dead Fred”, and “Sinister Sam” photos are available below. Watch this special Xbox time-lapse video on zombie evolution to promote Dying Light: The Following. Comparing and contrasting high points in the zombie genre like Night of the Living Dead and The Walking Dead TV series. A very simple and entertaining video for all you horror fans out there. 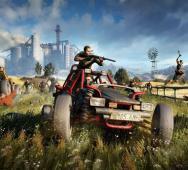 Techland’s Dying Light: The Following releases for the Playstation 4 (PS4), Xbox One, and PC on Tuesday, February 9, 2016. Check out these awesome looking brainless zombie mugs from Turkey Merck Pottery. The attention to details is fantastic for this limited release. These mugs are worth every penny of their $220 price tag, each mug. More of a collectible zombie mug than your average drinking mug. 2016 is panning out to be an awesome year for upcoming horror. This year we have reboots, zombies, evil forests, extraterrestrials wanting to eliminate mankind, and evil creepy dolls. Rob Zombie just released another photo for 31 (2016). An awesome still with a homicidal clown on top of one of our characters looking like he is about to have his life snuffed out. 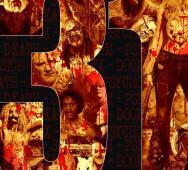 Rob Zombie’s 31 stars Malcolm McDowell, Sheri Moon Zombie, Lawrence Hilton-Jacobs, Lew Temple, Jeff Daniel Phillips, Tracey Walter, Pancho Moler, Jane Carr, Ginger Lynn, Richard Brake, Judy Geeson, David Ury, E.G. Daily, Daniel Roebuck, Lawrence Hilton-Jacobs, and Torsten Voges. 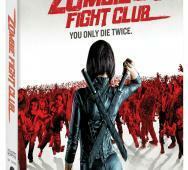 Scream Factory will release the Blu-ray / DVD of Joe Chien’s Zombie Fight Club (2014) this upcoming February 2, 2016. Martial arts versus zombies sounds like fun. Andy On, movie hottie Jessica Cambensy, and Michael Wong star in Zombie Fight Club. 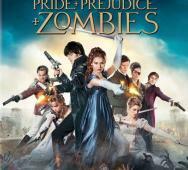 Burr Steers’ Pride and Prejudice and Zombies (2016) releases in movie theaters on February 5, 2016, but the Pride and Prejudice and Zombies Pop! vinyl figures will become available in January 2016. Below are six Funko Pop! vinyl figures images for you to watch. 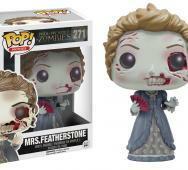 How many of you will be buying these zombie collectible figures? 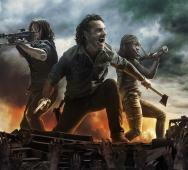 Watch this short video on AMC‘s The Walking Dead facts. 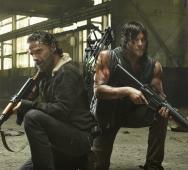 We love the TV show because of the story telling, and when we do see the zombies, the scenes are great. 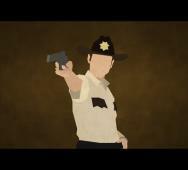 Wanted to know a little more about The Walking Dead TV series, watch this video! Thanks to Top10Memes for posting this video. 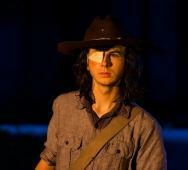 AMC’s The Walking Dead still has not revealed the official outcome of one particular character. 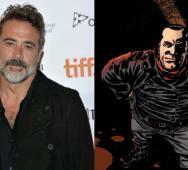 In confirmed news, Jeffrey Dead Morgan has been cast as main villain Negan. Negan will be shown in the season six finale episode then become a regular in The Walking Dead Season 7. Negan loves violence and is always shown with his bat wrapped in barbed wire named “Lucille.” It is great that we are getting to see more characters from Robert Kirkman‘s comic series. Other stars who auditioned for the role include Timothy Olyphant, Matt Dillon, and Garret Dillahunt, but I think Morgan is the best in this role, remember him in Watchmen (2009)? 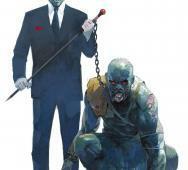 Just confirmed by artist Arthur Suydam, George Romero‘s Empire of the Dead will be coming to life on AMC. AMC is making this their third comic book adaptation following the highly successful The Walking Dead TV series and airing soon Preacher TV series. 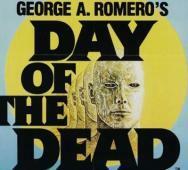 If you are unfamiliar with the Marvel comic book series, George Romero joined his classic zombie world with vampires. 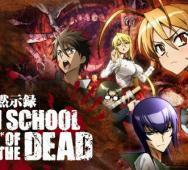 The humans have to fight against both forms of the undead, zombies and vampires. How excited are you to see this horror comic adaptation? AMC's The Walking Dead Season 7 Confirmed! We all knew it would happen, but AMC just officially announced they renewed The Walking Dead for season 7. AMC’s The Walking Dead Season 7 will premiere October 2016. How many of you can’t wait to see what happens in The Walking Dead season 7, I know I can’t wait to see the makeup for the next season of zombies. Damon Perry, 23-year-old New Mexican man, killed his friend Christopher Paquin while drinking heavily and binge watching AMC’s The Walking Dead. Why you ask, Perry claims that Paquin was turning into a zombie. Grants Police Department spokesman Moses Marquez states, in all his 13 years, this is the most brutal scene he has ever seen. Perry thought that his former friend was trying to bite him. Perry beat Paquin to death with a microwave, guitar, then stabbed him with a knife. I guess Perry is claiming self-defense against a zombie. Perry was then “chasing a woman around an apartment complex with a knife” where two maintenance men tackled him. They got Perry on the ground and restrained him until the police arrived. Perry is being held on $800,000 bail. With so many bad horror movie remakes, we decided to make a top horror movie remakes list. Most horror remakes are pretty terrible, but there are those select few that we would like to highlight here as great stabs at continuing the franchise with a good remake. Famous directors who continued the stories or even reimagined the stories in the remake include Zack Snyder, David Cronenberg, Alexandre Aja, Francis Ford Coppola, Fede Alvarez, Rob Zombie, and Matt Reeves. This list includes over 30 movies, so there is quite a few that every horror/sci-fi fan should find desirable and a few that may not appeal to you specifically. Enjoy the movies list and tell us if we missed one of your favorites. 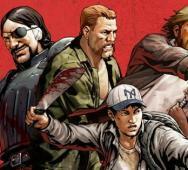 THE WALKING DEAD: ROAD TO SURVIVAL Mobile Game Available Now! Robert Kirkman via Kirkman’s Skybound and Scopely has unleashed a new free mobile game for all you zombie fans titled The Walking Dead: Road to Survival. You can download the free zombie game for your iOS and Android device. The mobile horror game will feature key characters from The Walking Dead comic books in a living world that will continue to expand. Full details in the press release below. RealmPictures thought it would be cool to create a real-life first person shooter, and they were right. Imagine the surprise of these random unknowing people as they were instantly calling the shots in a Doom/zombie game type scenario controlling what a real life person is doing in these scenarios. The video is fun to watch, and not everyone did well, but a select few managed to make it past the end boss and complete the level. They were then transported to a bonus look at the crew who made everything come alive. 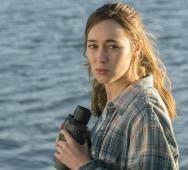 AMC's FEAR THE WALKING DEAD: Watch the Opening Scene! Are you ready for the zombie outbreak? AMC has released the opening scene to Fear the Walking Dead. 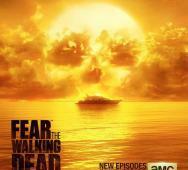 AMC’s Fear the Walking Dead Season 1 premieres this upcoming August 23, 2015, and I for one cannot wait to see how the zombie outbreak started. We will return to the zombies who are slightly faster and a little less rotting. 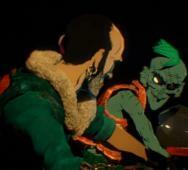 The opening scene has already been teased many times before, but now we get to see it in full. Austrailian YouTube channel Furry Fingers has released a pretty funny The Last of Us parody video. 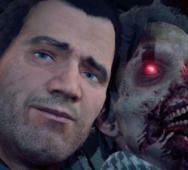 The video makes fun of the weapon crafting in Naughty Dog‘s The Last of Us horror game. Watch as Joel and Ellie challenge one another to who can make the best weapon. That is until the infected zombies hear them and come rushing. Check out the video and do not forget to like and comment.